Paper and Board Packaging makes most of the secondary packaging in food and bakery industry . Raw pulp which is used as raw material for all paper products are sourced from trees thus contributing to deforestation and in turn impacting climate change . Addressing this concern Unilever has taken a bold initiative to source all its paper products from sustainable managed forest or recycled material. Hope all other major food manufacturers would follow example of Unilever in protecting environment through sustainable sourcing . The policy outlines the company’s ambitious goal to work with its suppliers to source 75 per cent of its paper and board packaging from sustainably managed forests or from recycled material by 2015, rising to 100 per cent by 2020. The commitment makes Unilever the first global FMCG company to commit to sourcing all of its paper and board packaging from sustainably managed forests or recycled material within a clearly defined timeframe. 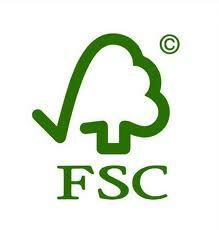 For the company’s requirements for paper from virgin sources, preference will be given to supplies delivered through the Forest Stewardship Council certification scheme. Unilever will also accept other national schemes under the framework of international Forest Management Certification standards, provided they comply with the Policy’s Implementation Guidelines. The move means the logos of the acceptable forest management certification schemes will begin to appear on the packaging of Unilever’s portfolio of brands as progress is made towards reaching the target, and in order to increase consumer awareness and promote the expansion of certified forests in the world. Marc Engel, Unilever’s Chief Procurement Officer, said: “As a leading consumer goods company, we buy considerable quantities of paper and board for packaging to ensure our products are protected and transported safely. As such it is important that we promote sustainable forestry practices and help combat deforestation and climate change through the responsible sourcing of these materials. We are committed to working in partnership with all of our suppliers to progressively increase the proportion of paper and board packaging which comes from recycled materials, or sustainably managed forests, in order to achieve this ambitious target.